Most athletes approach Champion Sports Performance to participate in our Sports Performance Classes. These small group training sessions prepare you to be faster, stronger, and more explosive. Building those skills leads to more confidence, fewer injuries, and greater performance. We focus on continuous improvement and individual achievement. 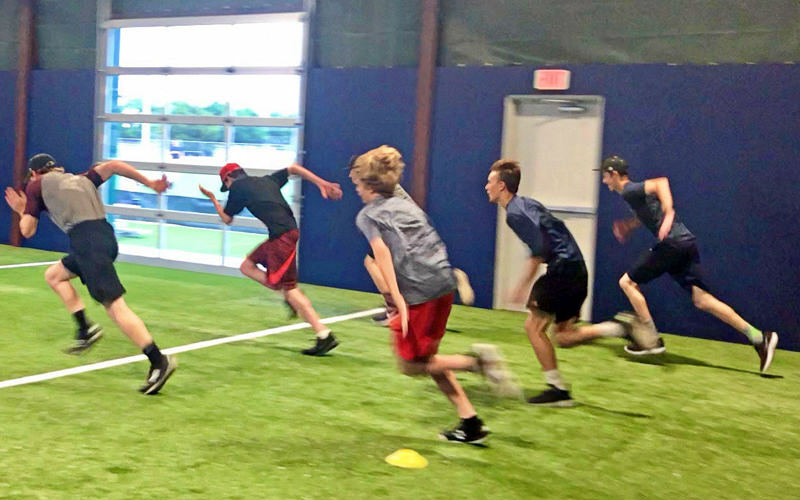 To better provide the attention needed to pursue that kind of growth, our small group training sessions are limited in size and athletes are grouped by age and performance level. So whether you’re an elite athlete looking to meet sport-specific metrics, or a young athlete looking to improve fundamentals of strength, acceleration and top-end speed, this program will help you make those gains. We approach our training time with every athlete as focused work with fun mixed in. Every session will help develop mobility, strength, balance, flexibility, power, speed, agility, and quickness. 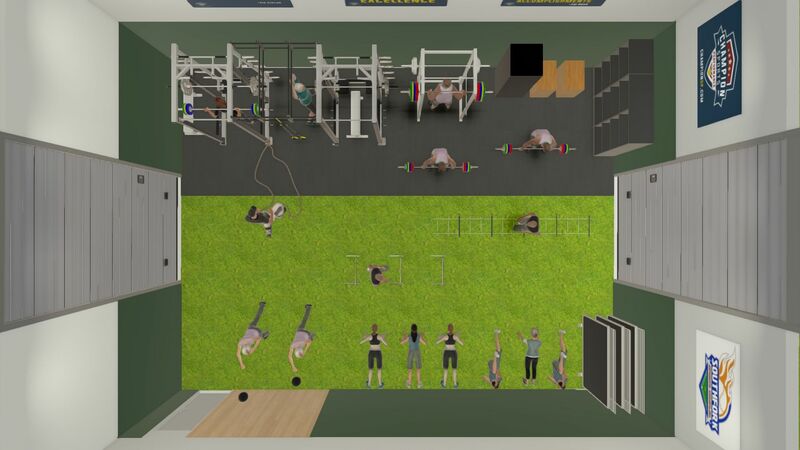 Our Group Training classes are held at Southfork Sports Complex, an outstanding facility with indoor turf training areas, an outdoor field with both turf and grass, and (coming this winter!) a building dedicated to our Sports Performance programs for building speed and strength. Learn more about our classes at Southfork Sports Complext and sign up today. Classes are offered Monday through Thursday, with options to attend twice per week or take advantage of unlimited sessions each month.